On Monday, DOJ inspector general Michael Horowitz revealed that James Comey is under investigation for mishandling classified information. 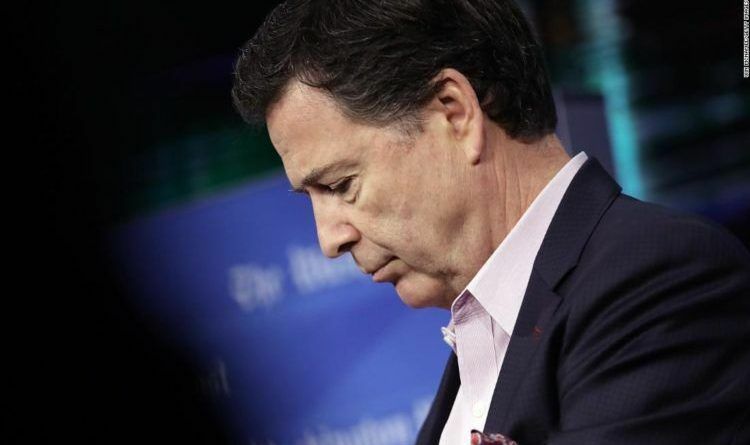 Former FBI director Comey is specifically under investigation for his handling of memos he wrote about interactions with President Trump while FBI director. “We received a referral on that from the FBI. We are handling that referral and we will issue a report when the matter is complete, consistent with the law and rules that are–a report that’s consistent and takes those into account,” Horowitz responded. This is good. Horowitz is putting things in motion. Comey is about to find out the hard way that laws still exist. He was dimly aware of his danger before. That’s why he claimed that the notes made on a government computer on government time while sitting in a government car after a conversation with the president in his capacity as a government official were somehow “private” documents. It doesn’t begin to pass the laugh test. The FBI’s FOIA compliance director has stated repeatedly that Comey’s notes were classified when he created them. Crook Comey hasn’t got a leg to stand on. He gave Hillary’s staff a pass and allowed them to destroy all their electronics/phones so there was nothing to see…right? Comey must be put in jail while they are investigating just like Mueller did to Manafort. Justice must be consistent. And eventually, Comey’s trail will lead to Obama and Hillary. And even though too many people protecting the corrupt very deep swamp of Democrats at the end, everybody will get what it deserves.